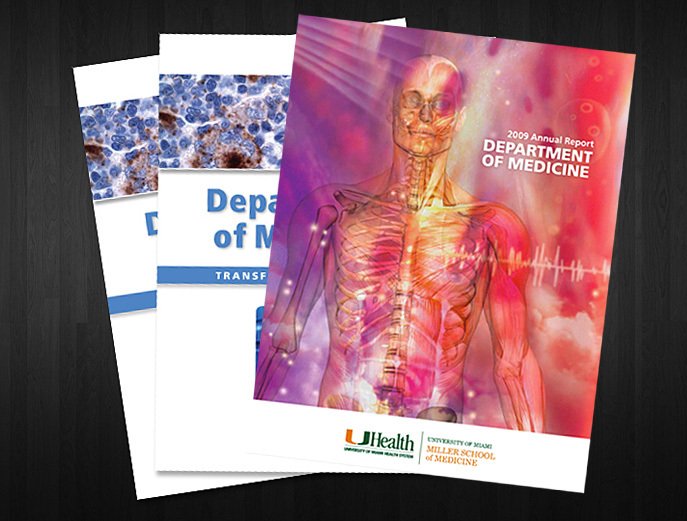 A 76-page (plus) annual report for the University of Miami Miller School of Medicine’s Department of Medicine and its 16 divisions. The scope of the project (2008 report) included all editorial services (including interviewing, writing and editing), graphic design/ layout and print management. The 2009 project included all content and project management services for the 104-page publication.